Whether you work in an office or at home, we all have Mondays. Are you for Mondays or against them? Whatever your opinion, come join the Athens community for a spirited debate. Beginning at 7:00pm, attendees will pick sides and participate in a tournament-style debate on the topics of remote work, the future of freelancing — and the dreaded Monday. Bring your best rhetorical skills, as we aim to explore the true implications of freelancing on professionals’ lives as well as on the greater economy and future of industry. 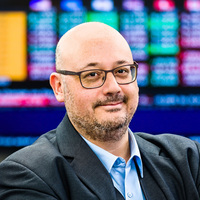 The event will be hosted by Solon Molho, a Toptal finance expert and Community Leader for Athens, who also has extensive experience discussing related issues with clients such as the European Council and the Economist Intelligence Unit. This debate will be conducted strictly in English. For more information, please contact Solon directly.